Military simulation was always one of the best fitting areas for the use of the engine. Unlike most other procedural engines, Outerra focuses on using real world data, enhancing it by seamless procedural refinement, which allows it to render accurate geography with first-person level ground details that does not need an extraordinary amount of streamed data to achieve geo-typical terrain. Supported scale range allows it to combine all types of simulation environments into a single world and eventually into a single battlefield, which is something that's highly desired in this field. 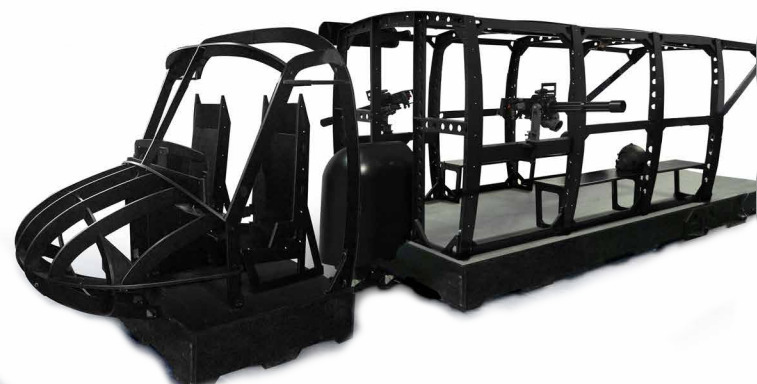 Over the years we have been in contact with several companies in the military simulation business, which were interested in using the technology. As probably many people know, Bohemia Interactive Simulations (BIS), makers of VBS, is a major player in the "serious games" field. What is probably less known is that the company was originally founded as Bohemia Interactive Australia by David Lagettie, an Australian who saw the potential in Operation Flashpoint game, and went to use it for military simulation and training software, which soon saw a widespread adoption. 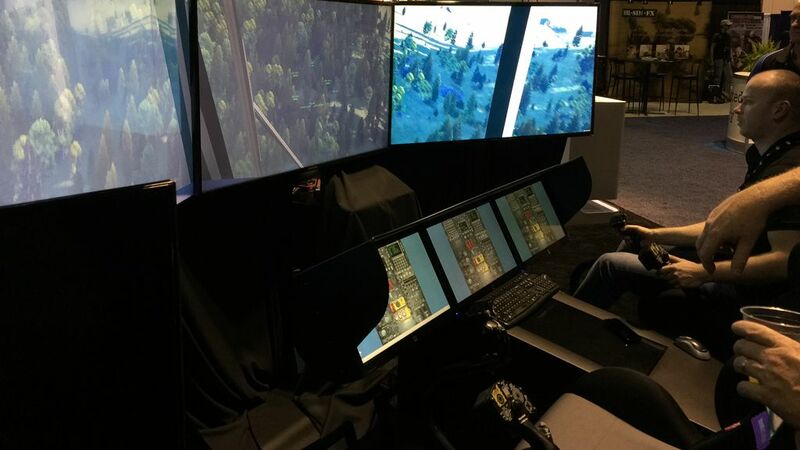 Later, around the time BIA was relocated to Prague, he left and founded Virtual Simulation Systems (VSS), a company developing all kinds of simulation hardware used in weapon and vehicle/aircraft simulators. 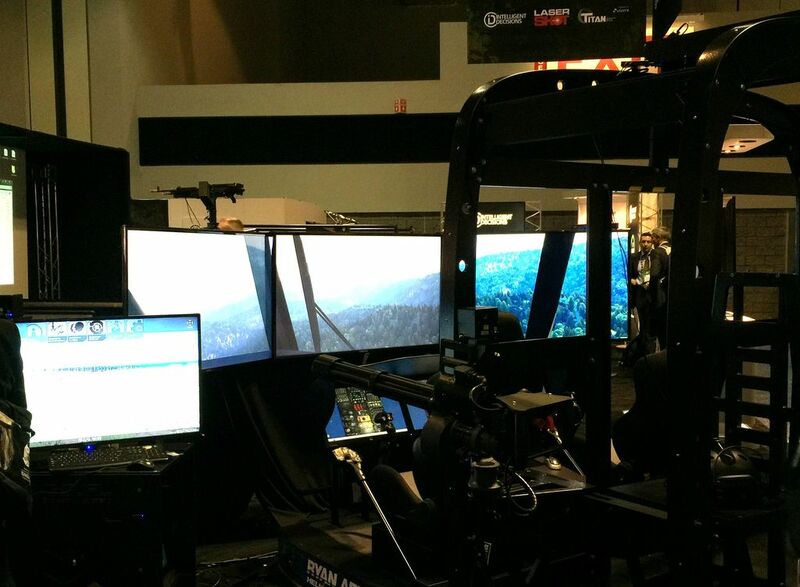 Several of these were actually used at the ITSEC demo, shown on the screens below. TitanIM is a company founded by David Lagettie to develop a simulation platform based on the Outerra engine, in close cooperation with us. Right now Outerra engine isn't generally available, still being in the development phase, and so any early projects have to be developed with our direct participation. We have worked with TitanIM for some time already, providing specialized API and the functionality they require for specific tasks of that domain. This effort culminated at this year's I/ITSEC conference where TitanIM was officially revealed, although several projects committed to using Titan platform even before the official launch. 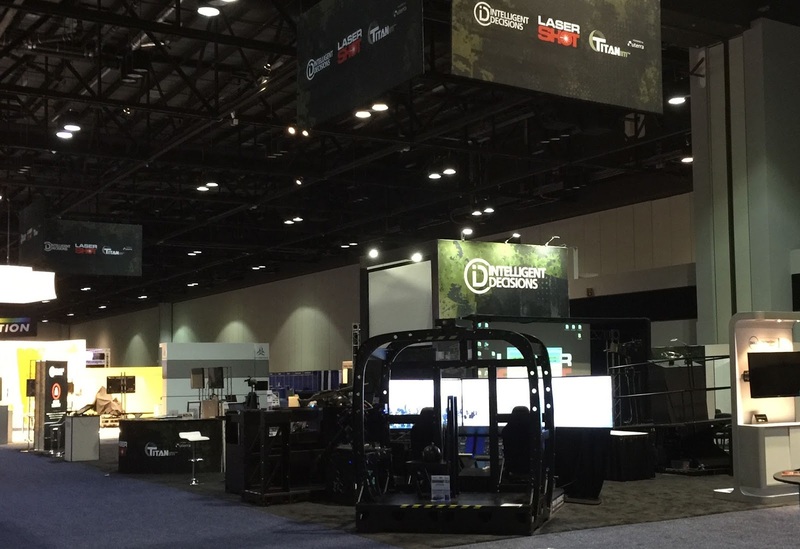 Titan booth was shared with two well-known companies that are already using Titan for their hardware simulators: Laser Shot and Intelligent Decisions (ID), showing diversity of applications even in this early phase. 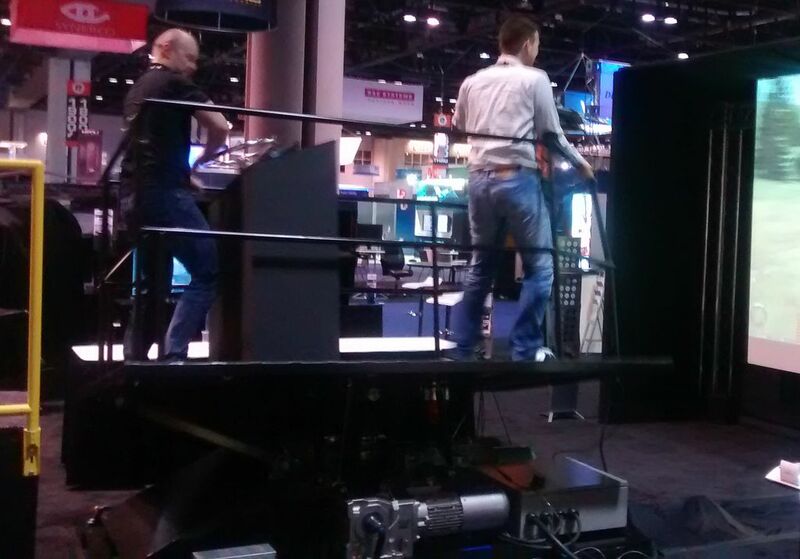 Boat platform, taking data from Outerra vehicle simulation and driving the platform servos. 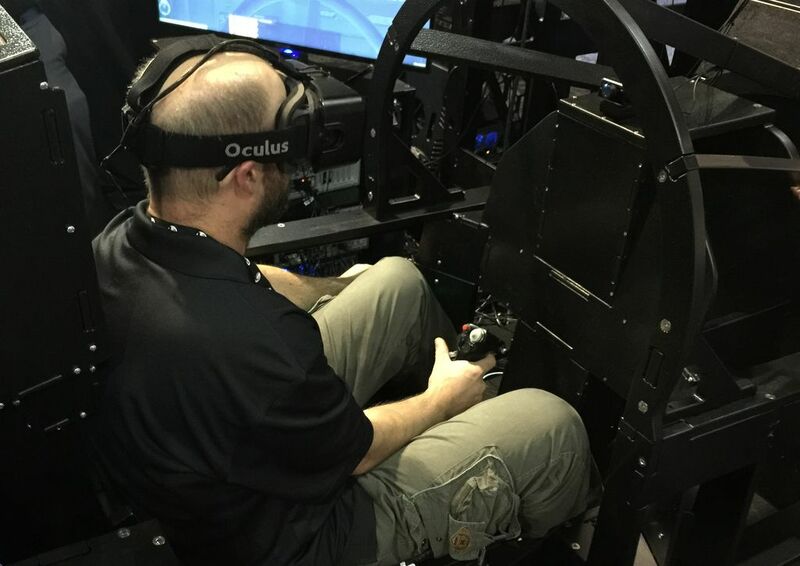 Phil inside the F18 simulator using Oculus DK2, with accurate cockpit construction matching the rendered 3D model. Overall it was a great success, with the whole Titan team working hard to get everything connected and working. These guys are seriously dedicated and insanely hard working; Phil (TitanIM co-founder and COO) had to be forcibly sent to get a bit of sleep after running for 3 days without rest, with other guys usually getting only short naps a day too. We also decided to grant the exclusive license to Outerra engine to TitanIM for military use (direct or indirect use by the military), to secure its position, since we are already participating on it quite closely. This probably won't be good news for some other interested parties, but as many people are pointing out, competition can only be good in this field. With Outerra engine powering TitanIM, a global integrated simulation platform is possible for the first time, connecting all simulation areas - space, air, ground and water, into a single limitless world. What does this mean for Outerra: apart from gaining an experienced partner handling simulation aspects that we could not cover by ourselves, lots of the stuff done for Titan will also get back to the Outerra engine and our games and simulators. We are also getting access to other connected companies, especially the hardware makers, making the engine more robust and universal in the process. It also allowed us to grow, to hire more people into our office in Bratislava, and the results will be showing up soon.